Zong is one of the fastest 3G/4G internet service provider in Pakistan with coverage in all major cities and towns. Xiaomi, the world’s fourth largest smartphone maker, expects a good business in Pakistani market and believes a partnership with Zong will even strengthen this business. According to latest details, Zong services and customer centers would have special display corners for Xiaomi phones, gadgets, eco products like headphones, adapters, power banks, chargers, Mi VR and other Xiaomi accessories. 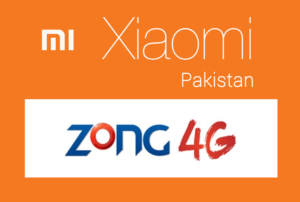 Zong is the first cellular company in Pakistan that has partnered with Xiaomi. Zong is also promoting the 4G ecosystem in Pakistan and has already partnered with leading mobile brands like Huawei, Q-Mobile, Oppo, HTC, Samsung, and e-commerce platform daraz.pk. It has over 26 million subscribers and about a 100 cities in Pakistan have Zong 4G coverage. It plans to invest about $200 million for expansion in over 300 cities soon. Xiaomi got approval from Pakistan Telecommunication Authority to launch in Pakistan in November 2016. PTA has approved 4 phones for now; Xiaomi Mi Max, Xiaomi Mi 5, Xiaomi Redmi Note 3 and Redmi Note 4. Earlier, Xiaomi launched officially in Pakistan on 20 February 2017 with an even held at Serena Hotel in the Federal Capital Islamabad.